It’s another cold and snowy spring day … time to stay inside and craft. What do you like to do when it’s cold outside? Craft we hope! Today we would like to share a fun double-sided craft. One side is for St. Patrick’s Day the other side for Easter. For the base of this craft we used some scrap wood we had left over from another project. The circle and egg shaped wood we picked up at our favorite local craft store. 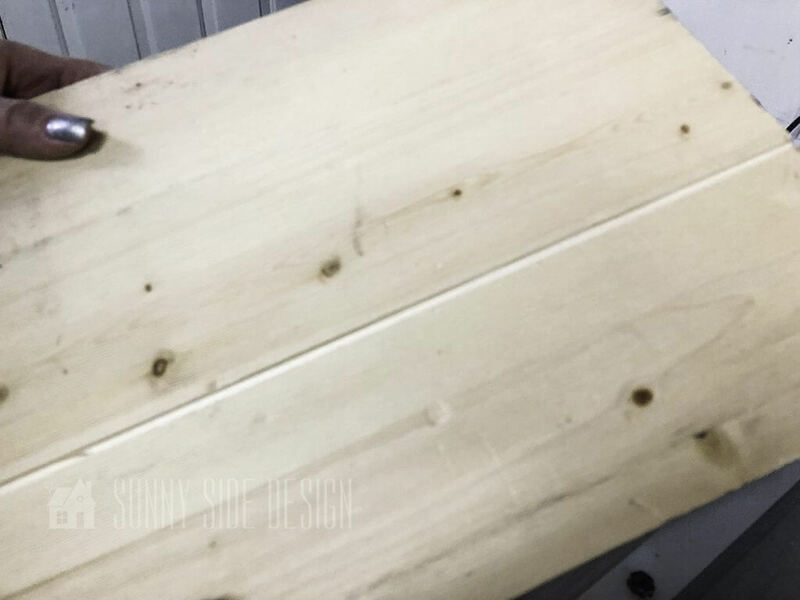 We purchased a 1 X 4 pine board to make the frame. Let’s get started. 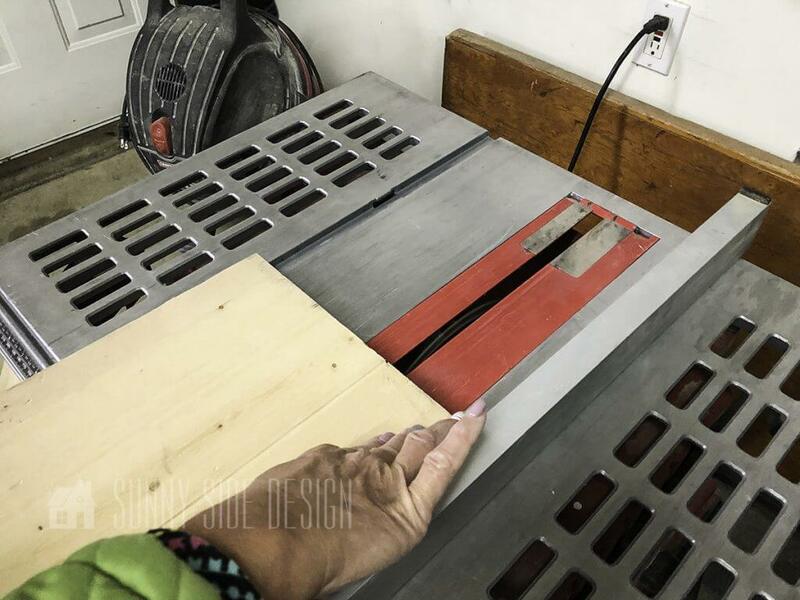 We began by cutting the scrap wood to size. 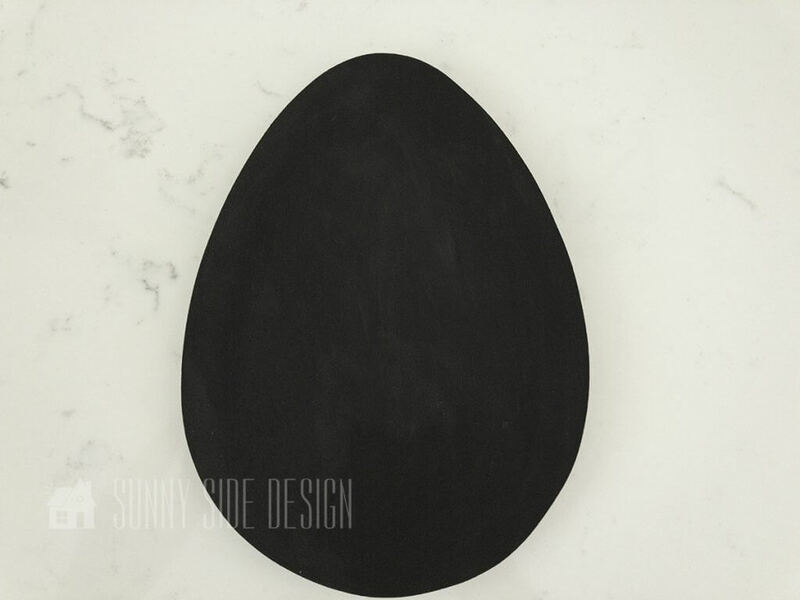 Ours is 14” X 14”, this seemed to be a good size for our wooden circle and egg shape we purchased at the craft store. 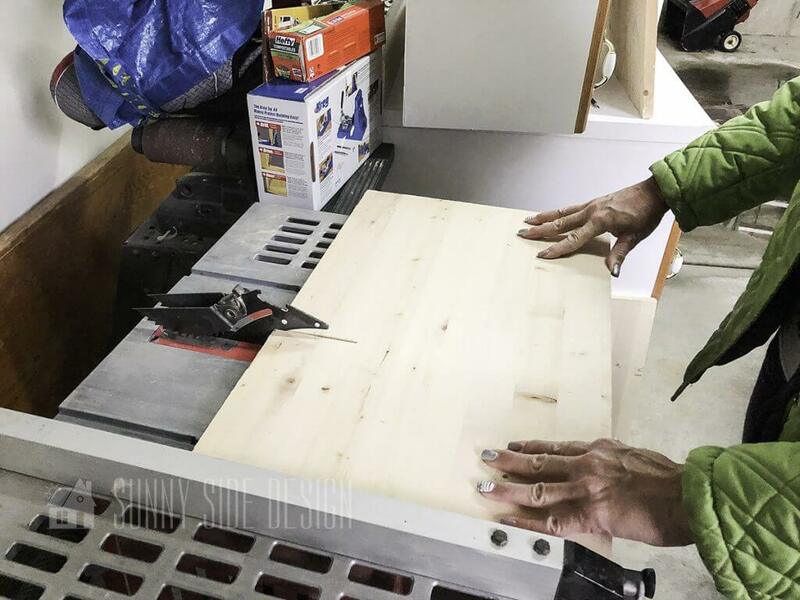 We wanted this to look like planks of wood that were put together, so we decided to cut 1/8” grooves in the wood. 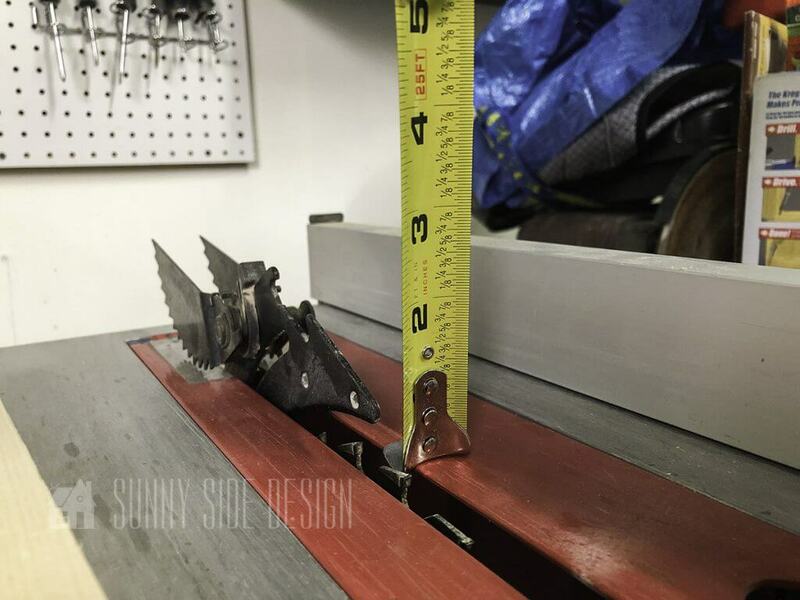 We did this by setting the blade depth to 1/8″. 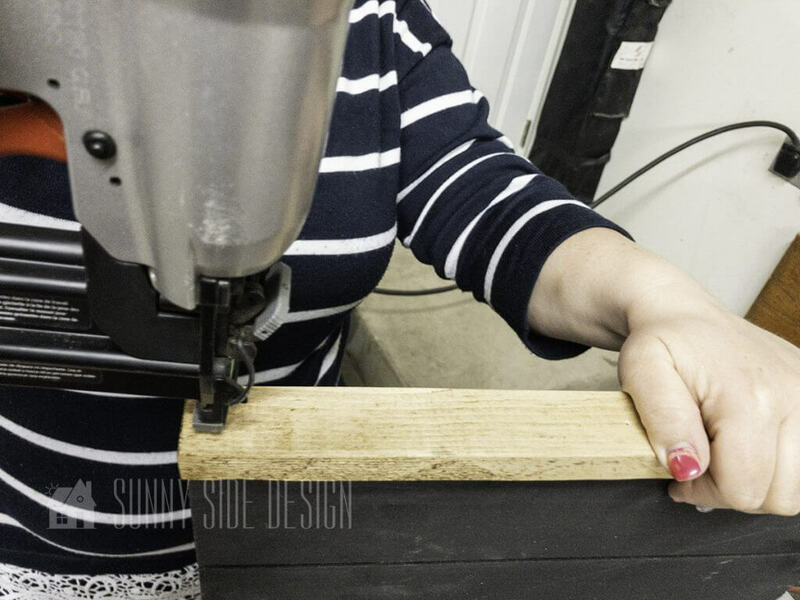 We made an 1/8″ groove every 3 1/2” on both sides of the piece of wood. 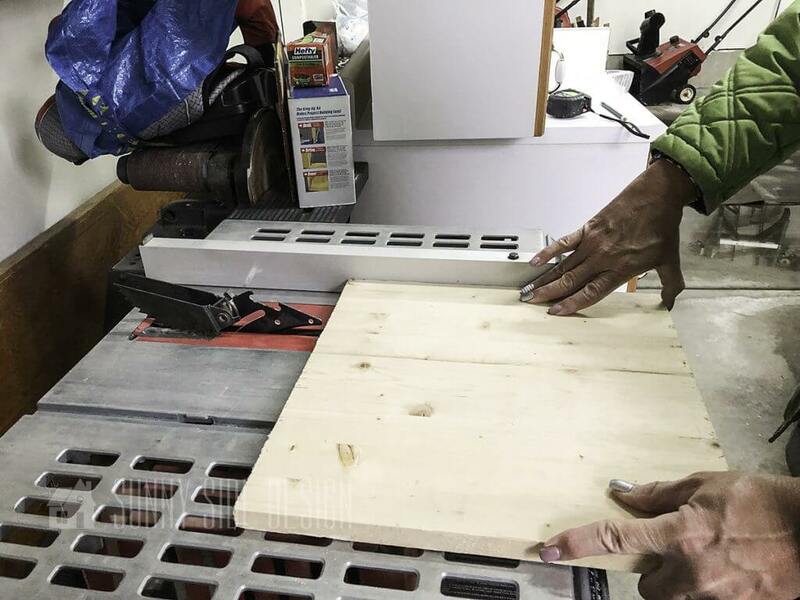 Once all the grooves are cut on one side, flip it over to make grooves on the other side as well. We applied a coat of paint, and used the same color on both sides. It would also be fun to have one side stained and the other side painted. The choice is yours. 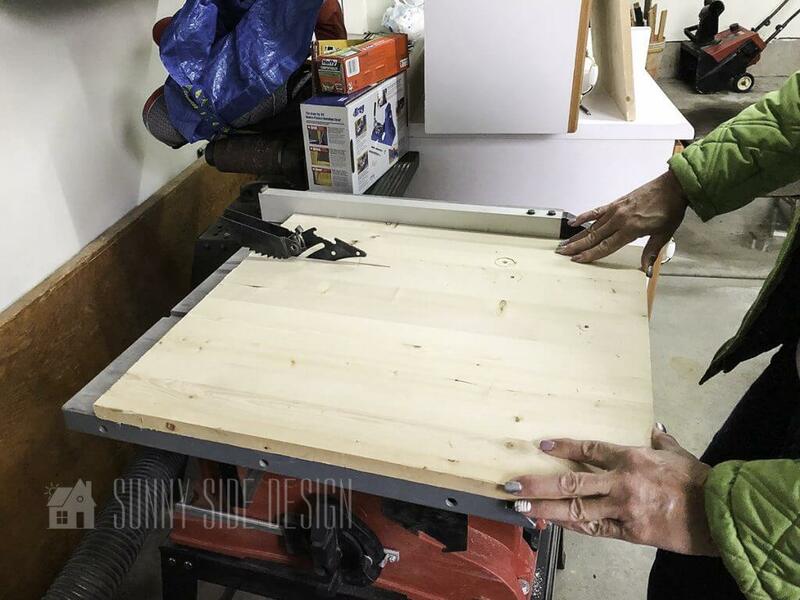 To create the frame around the plank board, we purchased a 1 X 4 with is actually 3 1/2” wide. 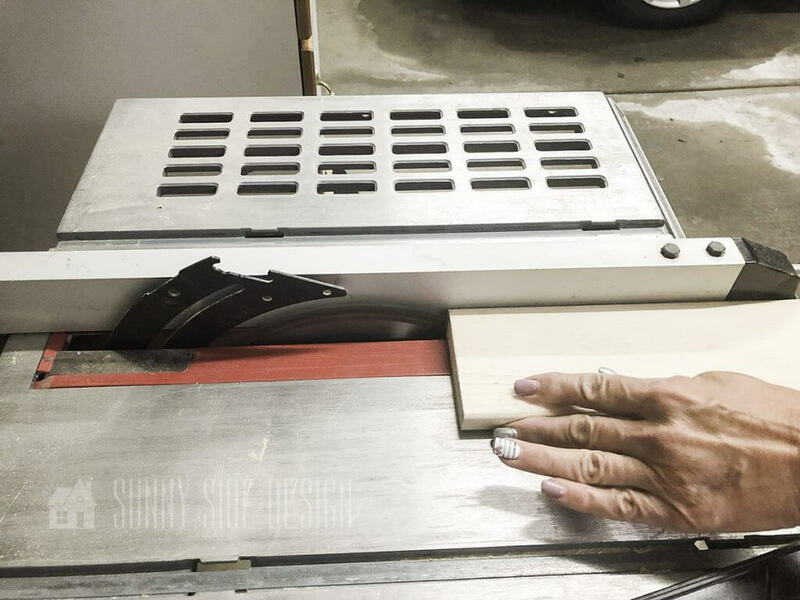 We trimmed off 1/4” from each side, so it would have a sharp square edge. Then we ripped the board in half. So each piece was 1 1/2” wide. 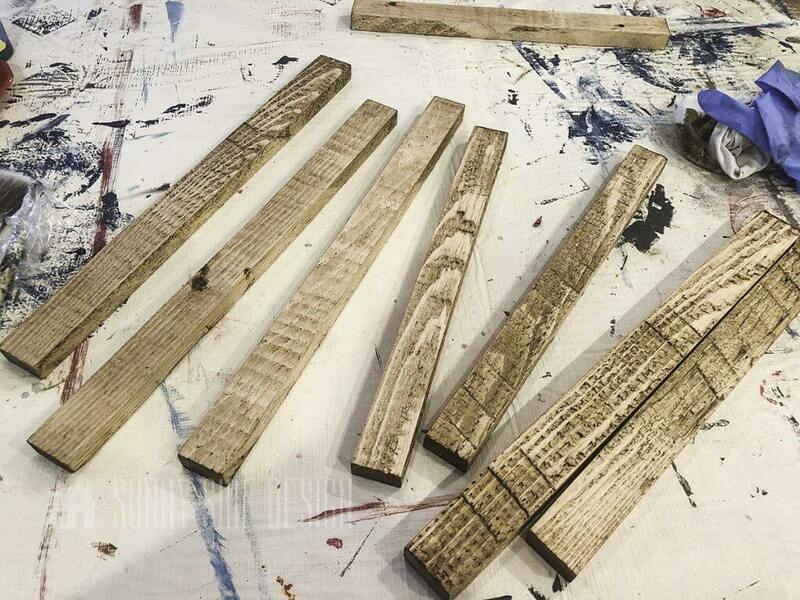 Cut these to length to fit the plank board. Once all the frame pieces were cut we applied a dark wax. A stain would also work well for this. Center each frame board one at a time on the plank board. Nail in place. We used a pneumatic nail gun for this. We didn’t take photos creating the “Lucky” sign. We painted the circle wood piece white, taped off stripes and painted them Kelly green. We cut the “Lucky” word from glitter vinyl using a Silhouette machine. 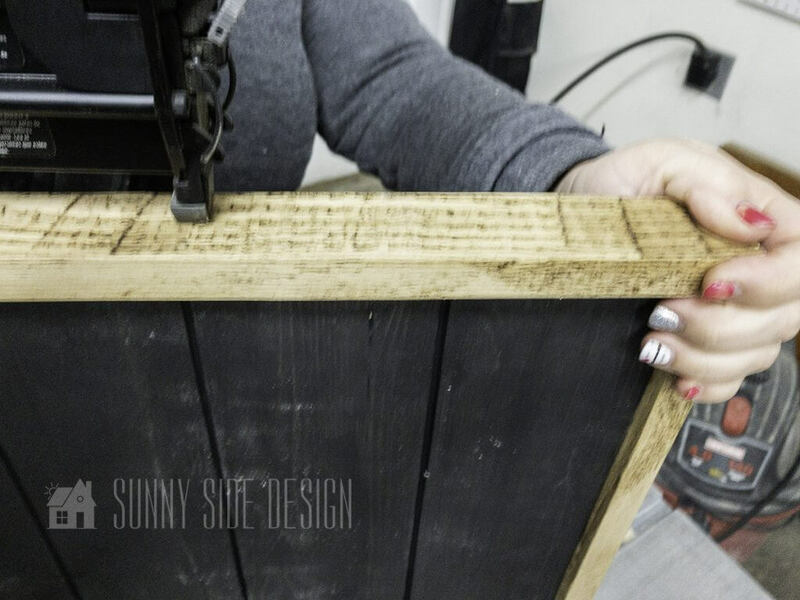 When the “Lucky” sign is finished, glue to the plank board. 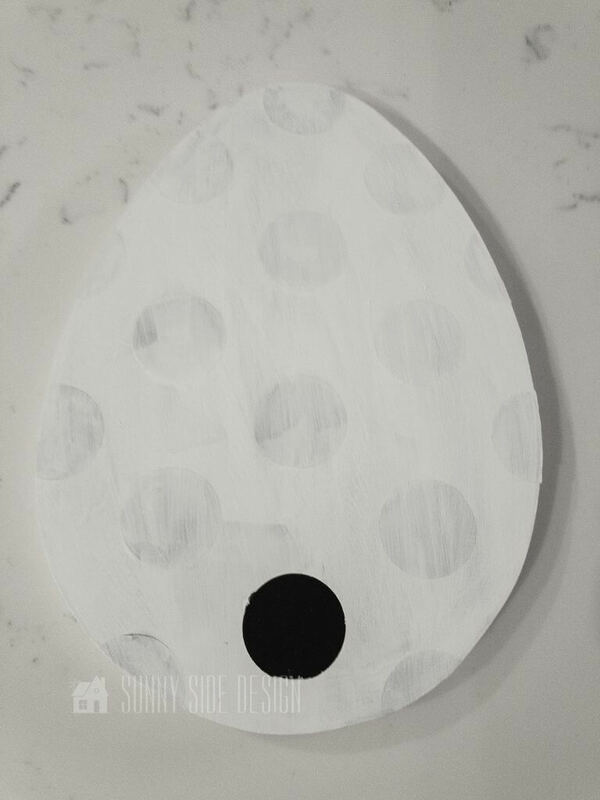 For the egg, we first began painting it white, then changed our minds to black, so we could do the polka dots as a mask. 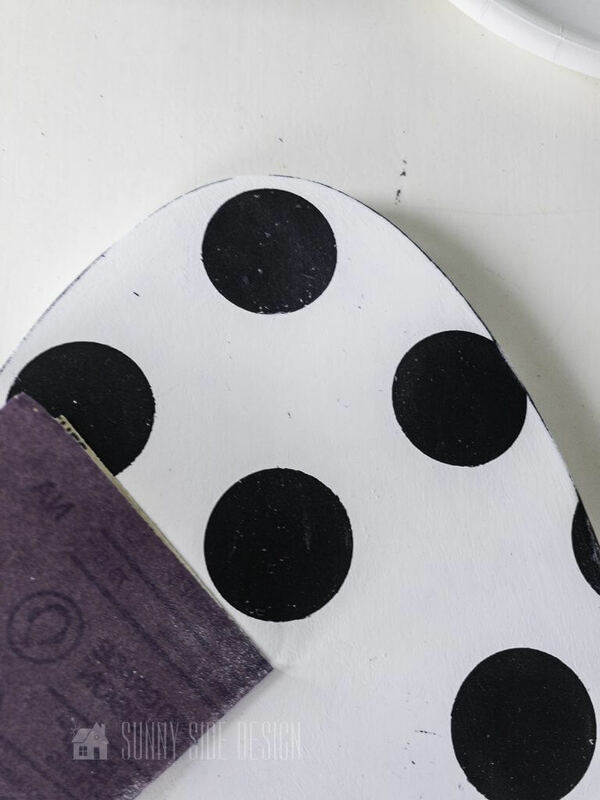 Using scrap vinyl we punched out circles using a 1 1/4” hole punch. 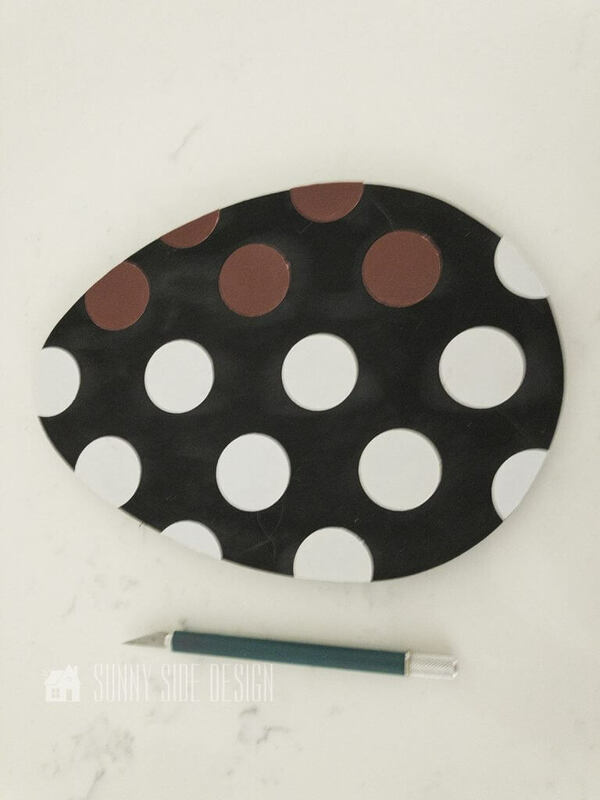 The circles can also be easily cut with a vinyl cutting machine. 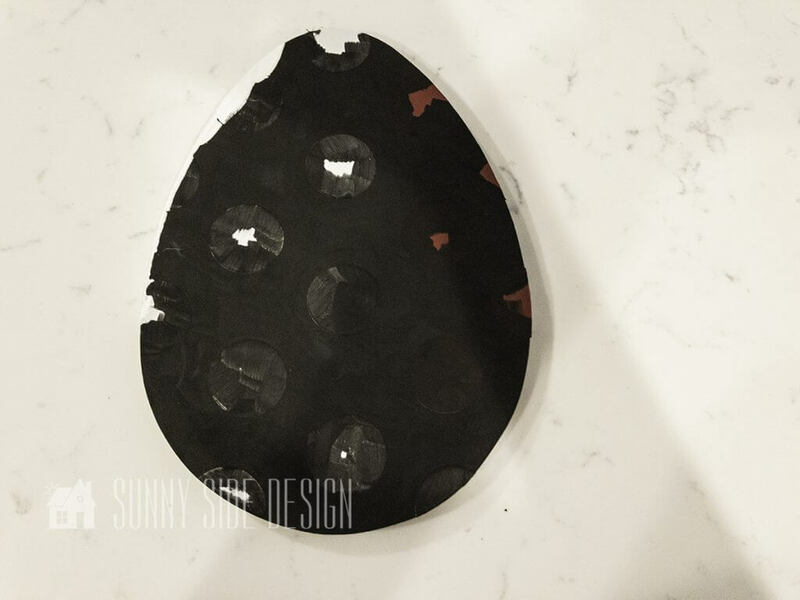 We then applied the vinyl circles as a mask in a pattern on the egg shaped wood. 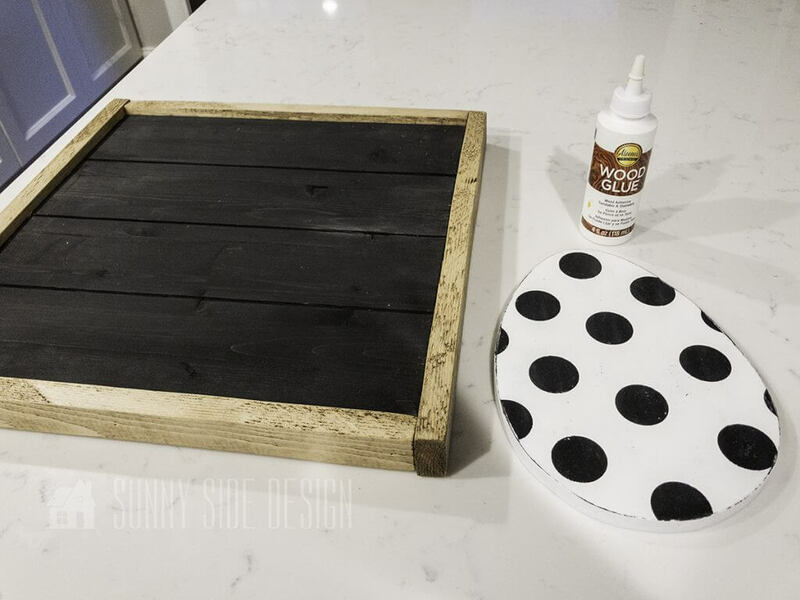 Then apply 2 coats of black paint. 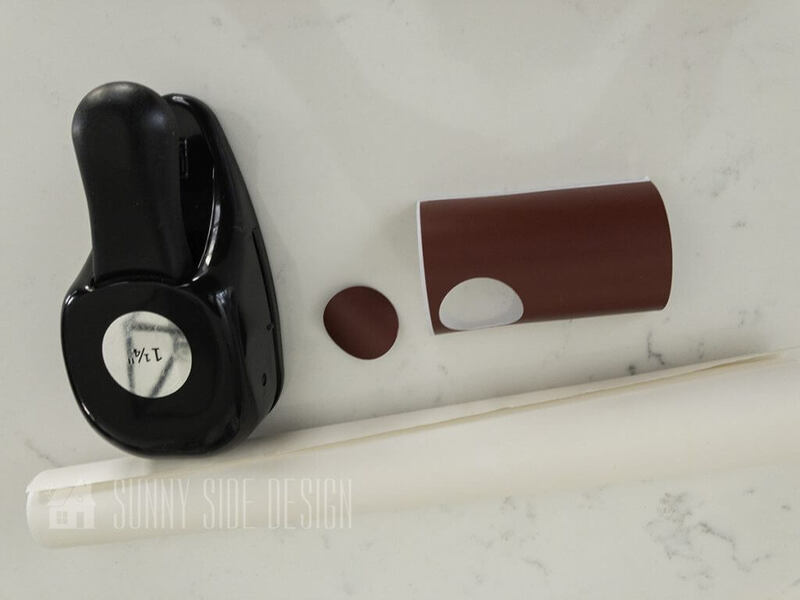 If there is any bleeding of the paint, it will match the base coat and seal the edges. 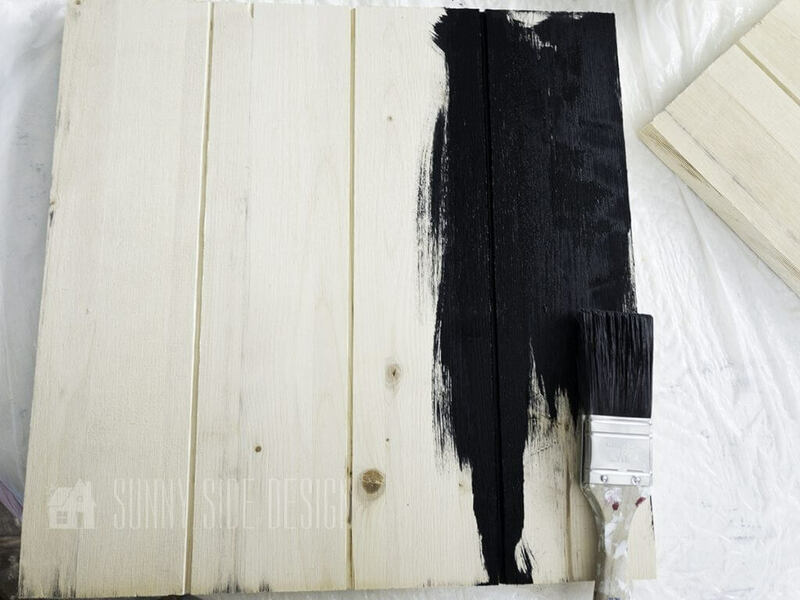 Once the black paint is dry, apply 2 coats of white paint. When it is almost dry peel off the vinyl circles. 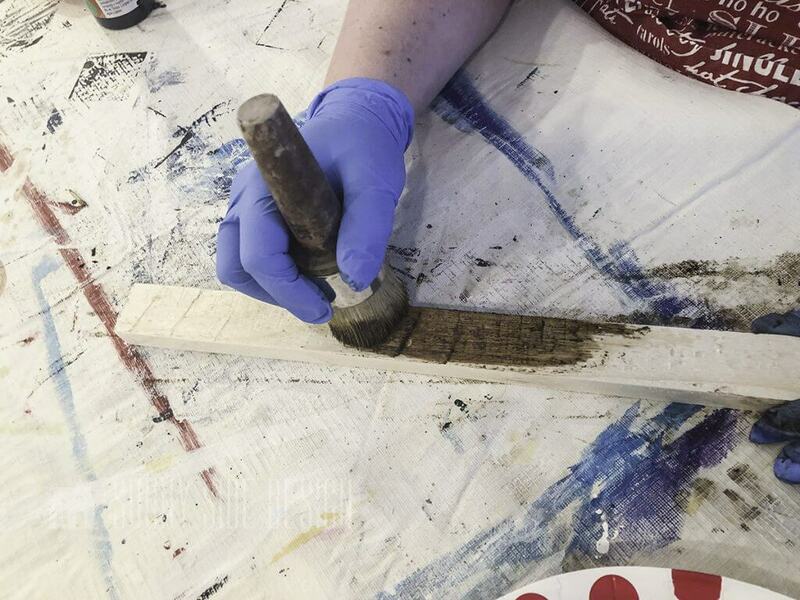 Once completely dry, sand the edges to distress lightly. This will reveal the black paint underneath. 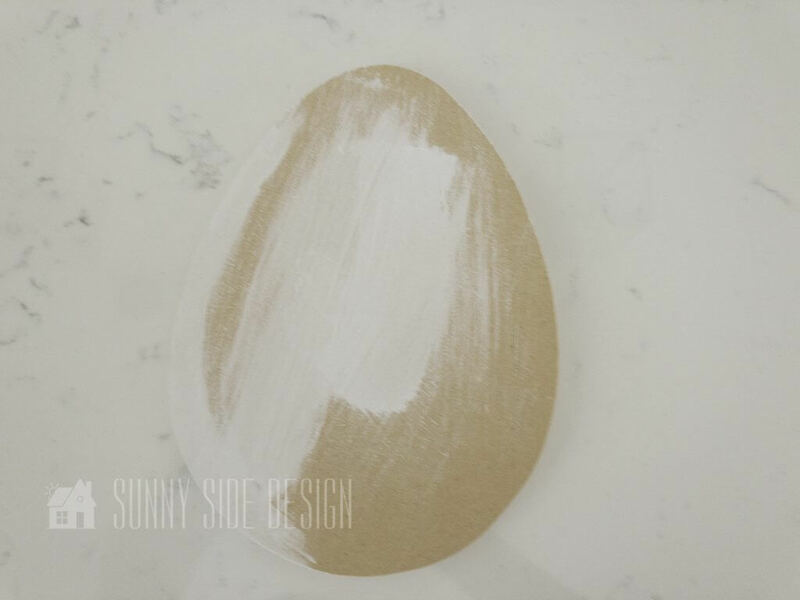 Using wood glue, glue the egg to the plank board. Wasn’t that a fun 2fer craft? 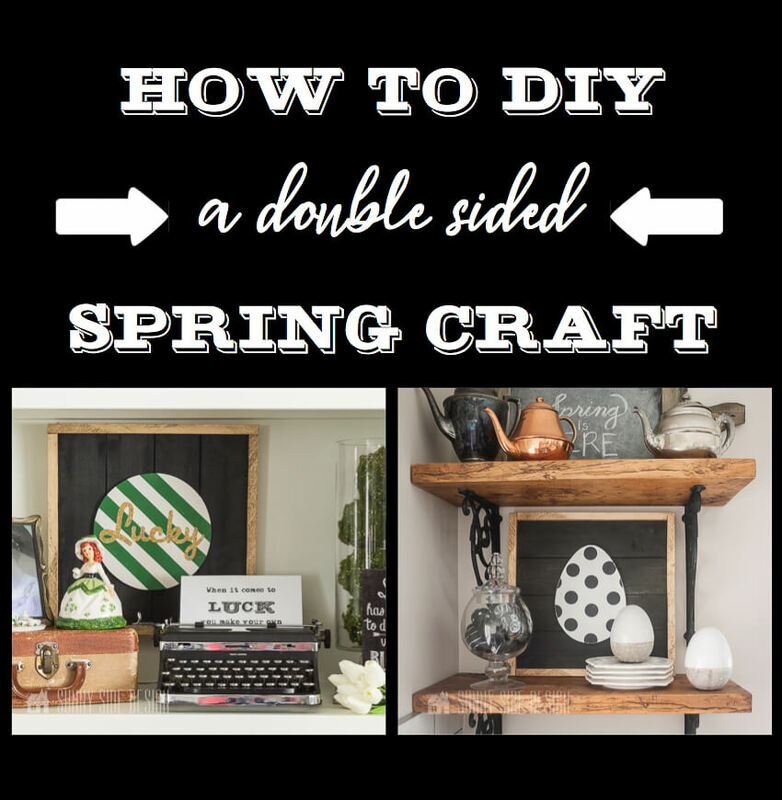 Are you already thinking of another double-sided craft you can make? Please PIN IT to save for later.